The annual Farm Progress Show — this year staged in Boone, IA — is always a great place to catch up with the crop protection companies, as most make available to the media a plethora of agronomic and product experts throughout the three-day show. 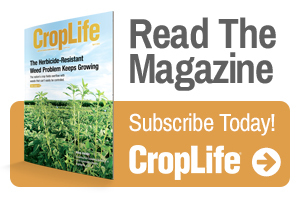 This year, I chatted with representatives from DuPont Crop Protection, WinField US, and Valent U.S.A. about what retail agronomists and their grower-customers need to be on the watch for with when it comes to resistant weeds this fall. At the DuPont Crop Protection booth I met with Retail Account Managers Nate Studer and Ron Geis, who work directly with Iowa-based ag retailers and nurture that relationship on behalf of DuPont. 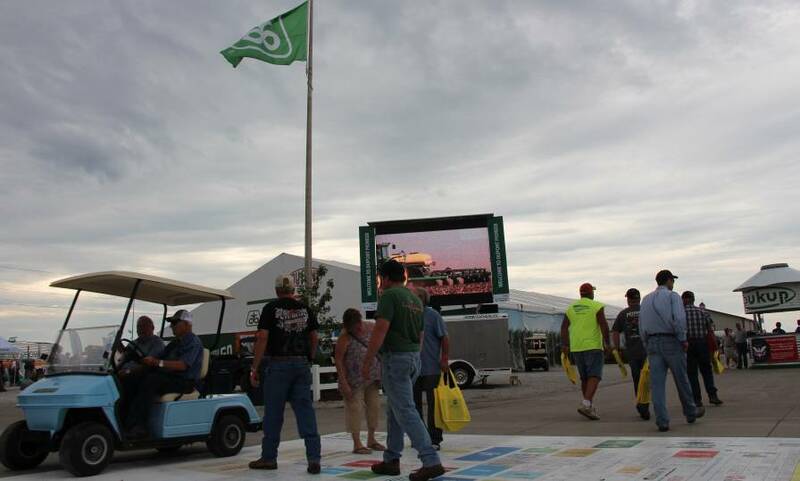 The DuPont Pioneer exhibit at the 2016 Farm Progress Show was a popular destination among attendees. Studer told me that while the “economics on that are getting tough” when I asked him if retailers were still doing a lot of fall residual herbicide applications, but he says preemergence products are still providing good value in Iowa. Geis, who works the Northwest region of Iowa, placing DuPont’s herbicide products with retail, says soybean growers need to stay ahead of the game when it comes to waterhemp. 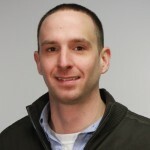 “A big thing we’re promoting with retailers that’s a bit different from the past couple years is to try and get ahead of the waterhemp problem on soybeans,” Geis explains. “As such we’re recommending residual products early in the season plus more residual products later — we do this routinely in corn. Steve Barnhart, an Iowa-based Agronomy Manager that I spoke with at the Shoreview, MN-based crop protection company’s climate-controlled booth, was making the 2016 Farm Progress Show his swan song, having announced his impending retirement. 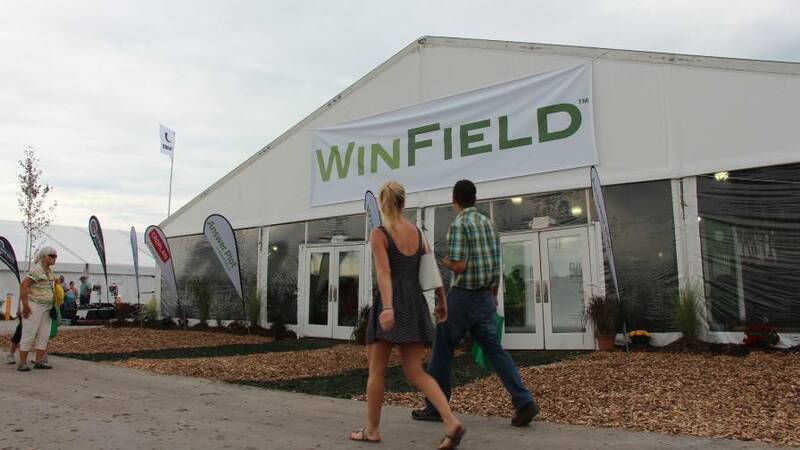 Farm Progress attendees walk to the climate-controlled WinField exhibit at the 2016 show. Barnhart said that in his territory giant ragweed, marestail, kochia, and “a little Palmer too,” were the most common herbicide-resistant weed species his growers encountered in 2016, with glyphosate-resistant Kochia proving a bit more difficult to manage than in years past. “It (Kochia) has always been hard to control with Roundup but in Western Kansas they’ve been fighting it with dicamba for so long it’s actually resistant to dicamba now,” Barnhart said. Going into 2017 Barnhart sees resistant waterhemp continuing to give growers headaches unless they catch it when it’s small. We sat down with Dawn Refsell, Manager, Field Development, Midwest Commercial Unit, at the Valent booth and asked what she had been hearing thus far at the show regarding weed resistance and growers looking for solutions. Looking back on her experience in 2016, Refsell also witnessed an uptick in volunteer corn escapes. “For some reason, there were a lot of people that didn’t want to control their volunteer corn this year? That was one of the areas of cutting cost — controlling volunteer corn. Very noticeable driving around the Midwest,” she said. We also asked Refsell what message she had for growers that are thinking about cutting back even further on herbicide spends in 2017.